In truth no one likes to be deceived. No one wants to follow a man or woman who is willing to lie and deceive, yet many of us have at times fallen for false teachers over the years; and I chalk that up to our own sinful proclivities and the fallen world in which we find ourselves. In other words, it can be very easy to be deceived, yet with time discernment should develop, and as the deceivers come they are easier to detect, or so one would hope. It will come as no surprise to many of you that the biggest lies have come to humanity from religion. One who purports to represent God, or comes under the guise of spirituality; that person should be above reproach, yet many times that is not the case. You know the rest, and so do we all. We live with the consequences of that lie every day, and humanity will continue to physically and spiritually die until the Day of the Lord occurs and the King returns and makes things right in this world again. Until then we need to wisely use discernment in this world. Most of the people I meet are just fine, they are good, and they are motivated by good intent. But there are others who come around whose motivation is not as good; and usually I realize quickly that something is wrong, or could be wrong. It’s just a trait I have developed over the years, a gift which has been enhanced by the power of the Holy Spirit. Yet there are deceivers who appear from time to time who seem to mesmerize others with fancy speech, big promises, and predictions of wonderful things to come. Couple that ability with the power of religion and you have a toxic mix; and to the undiscerning it can be a dangerous mix, as we have seen with the disastrous results of various cults over the years such as the death of over 900 members of the Peoples Temple in Jonestown Guyana in 1978 under the demonic leadership of the “Rev.” Jim Jones, and the Heavens Gate cult led by “The Two,” Marshall Applewhite and Bonnie Nettles (Nettles died in 1985). As many of you know, Applewhite led a group of 39 devotees to commit suicide in 1997 in order to join up with a UFO alien craft that was supposedly following the Hale-Bopp comet. The Bible reveals that in the end of days deception will take on a supernatural dimension. That is the unspoken, or unrealized, aspect of Bible prophecy. Many Bible teachers do not take into account that when the Antichrist and the False Prophet appear they will be supernaturally energized by the dark powers that rule in the heavens. They will possess such a power to affect the human mind in order to deceive, not just a few followers, but billions of followers! Think about that for a minute, it’s actually frightening! It will truly be a Wonderful Deception backed by immensely powerful lying signs and wonders. Did you notice that the verse says “the priests bear rule by their means.” That can be restated as saying that the priests rule not by the authority of God, but by their own authority (as the authority of a man, a dictator). But the amazing thing here is that the people love to have it so! In other words, the people desire the false doctrines and the authoritative overbearing spiritual leadership–because of what they get out of it! The fruit Jesus is speaking of are the doctrines that the prophets will teach. True Bible doctrine will line up with what the Holy Spirit has already revealed in the Scriptures. If someone comes to you speaking wonderful things, yet it flies in the face of Scripture, just realize you are listening to the doctrines of devils, and deal with it accordingly–ignore it, flee from it, run out the door of that church and don’t look back! When the False Prophet speaks the text says that he will “speak like a dragon.” What the text is saying is that the False Prophet will speak like the drakōn or dragon. In other words, his speech will be like the speech of the Satan! His words will be Satan’s words, and his miracles will be Satan’s miracles! Not only will his words be those of the Dragon (an alien reptilian image by the way), but his words will be backed up by POWERFUL MIRACLES. That is why Jesus warned us that men do not gather grapes from a thorn-bush, nor figs from a weed like a thistle. Good fruit (teaching, doctrine) comes from a good source. The grape is plucked from a growing, thriving, grape bush, and a delicious fig comes from a growing, living fig tree. But a grape that is taken from a thorn-bush is a false grape, it’s not real, and a fig that is found in a thistle plant is not right–its something false, and something unnatural. So when powerful personalities appear on the world stage and say all kinds of wonderful things, listen to what they have to say, compare that carefully with Scripture, weigh the evidence, and understand the truth of Jesus’ teaching about grapes and figs–AND DONT FALL FOR THEIR WONDERFUL DECEPTION! The miracles won’t matter–I don’t care if they have the power to raise the dead or produce fruit out of thin air. If they deny the Bible they are false and teaching false doctrine. Always be ready to identify false prophets. The Scriptures will give you the discernment you need to overcome their supernatural words and works; and the Holy Spirit will use that to reveal the true nature of supernatural evil in these last days. If you would like to learn more about the great deception of the last days then I invite you to check out my book Alien Antichrist, The Terrifying Truth about UFOs and Aliens, Antichrist, and the End of Days. You can get a copy from Amazon by following the book link at the top right of this page. For a limited time I have been able to get the price lowered for the Kindle edition in time for Christmas. In the book I give you all of the details that you need to understand the great deception that will befall humanity during the Great Tribulation. If you are interested in Bible prophecy at all then check out the book. I start at the beginning as I explain that UFOs and aliens are a dangerous spiritual force that will supernaturally manifest in the last days. I present all of the information about who aliens are where they come from and what they intend to do once presented to mankind by the False Prophet. When I wrote the book I came to realize that the end of days will be unlike any other time in the history of humanity. No one has seen, or will ever see again, supernatural power displayed like we will see once Bible prophecy begins to play out. Even Jesus said there has never, nor will there ever be a period of time like the Great Tribulation. 2. Nachash, from bright, brazen; shining brass. Isa 14:12-15, “Lucifer” or the shining one, Heylel ben-shachar, Son of the Dawn. 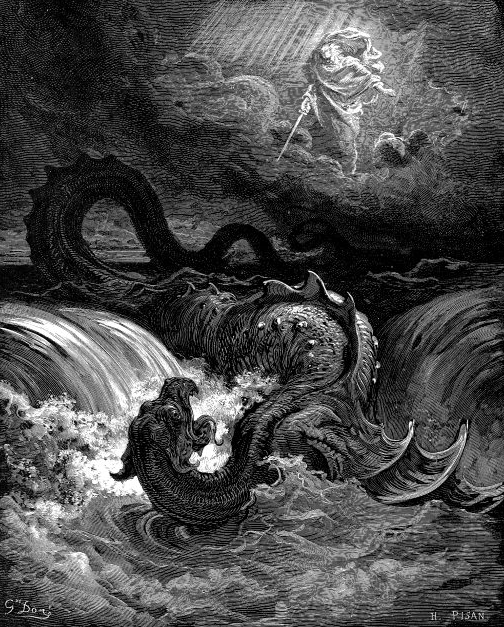 Isaiah 6, the vision is of God on his Throne surrounded by fiery flying serpents, the Seraph.